Let’s talk about coffee, the favourite drink for all age groups. There is no getting away from the fact that coffee drinking has expanded exponentially over the past decade. Coffee franchises, independent sellers and street vendors on virtually every high street corner now cater for our coffee time. Today, the trend is not so much the product taste, but the product provenance. And this is making a difference in the economic fortunes of less affluent coffee-producing countries. Coffee cultivation and trade began on the Arabian Peninsula in the 15th century. By the 17th century, had made its way to Europe. Today, the ideal conditions for coffee trees are found along the Equatorial zone called The Bean Belt . 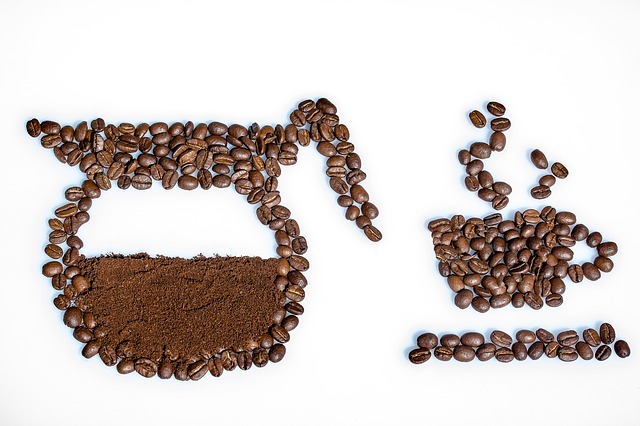 Coffee now grows in around 50 countries in the world from the USA to Mexico to East Africa and Asia. Good coffee beans depend on plant variety, soil chemistry, the weather and even the precise altitude at which the coffee grows. Instant coffee represents by far the biggest share of the global coffee market. As with any coffee, it needs to be roasted relatively near to the end consumer so that it maintains its taste until it is actually drunk. There is a growing call for ethical coffee, with an increasing number of consumers willing to pay more for ethically sourced coffee. The argument is that ethical sourcing benefits everyone from the farmers who grow the beans to the cafes selling the beverage. Contemporary consumers are more interested in the provenance of the coffee beans. which has a direct influence upon their choice of coffee. According to statistics from the UN’s World Intellectual Property Organisation (Wipo), “smarter processing, branding and marketing makes a huge difference to growers and their communities”. And with baristas armed with knowledge about the provenance of what they are serving, consumers are making the choice to help struggling individual farmers in less affluent countries. This trend means that farmers in the developing world are getting a better share in the global value chain. For this trend to continue, we should look to the Continent for a different approach to coffee drinking. Takeaway coffees are the norm for busy people on the go but in some European countries, this is not necessarily the most popular way to enjoy a cup of coffee. Take Italy for example. The majority of Italians prefer their local coffee shop rather than a coffee to go for these very good reasons. Firstly, it takes no time at all to walk into a coffee shop, order a coffee and drink it. Downing a freshly brewed espresso shot takes a matter of seconds and the coffee is fresh, readily available and tasty. Secondly, drinking coffee has become a ritualistic break. Those on the go can take a moment to recover, regenerate their batteries. And above all enjoy a quiet moment to enjoy the coffee. And finally, Italians do not like their coffee so hot that it burns the mouth. They prefer coffee served cooled down at the right temperature, so it can be drunk immediately. For the third year running consumption has outstripped production. So far the good years have provided a buffer but this cannot last. As Dr Tim Schilling, director of the World Coffee Research institute, an organisation funded by the global coffee industry, says: “The supply of high-quality coffee is severely threatened by climate change, diseases and pests, land pressure, and labour shortages – and demand for these coffees is rising every year“. In some coffee areas, temperatures have already risen enough to begin having quality impacts, he adds. In the future production areas in Ethopia could be halved and Brazil reduced to a third of today’s. This can only mean that new varieties will come to the fore and the taste of coffee will change. So the next coffee time, ask where the beans come from and then enjoy the moment.